Liver disease is the most common non-AIDS related cause of death in HIV-infected patients. Research out of the University of Kentucky has identified a potential pathway by which some drugs commonly given to patients with HIV give rise to liver disease. 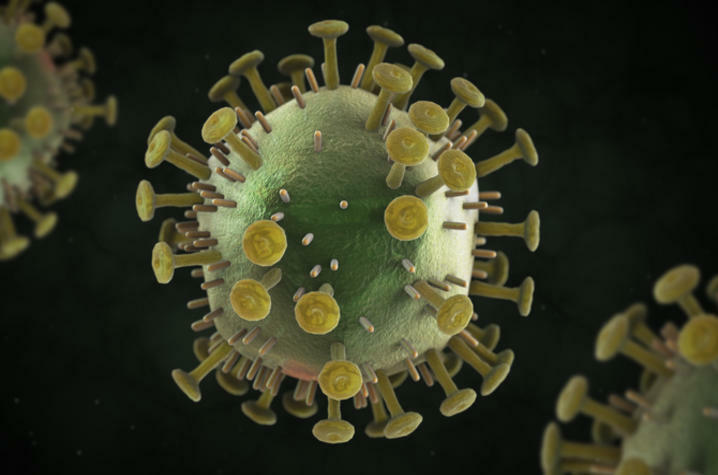 LEXINGTON, Ky. (Feb. 1, 2019) — As a raft of new treatments for HIV infection have come on the market in the past 20 years, AIDS patients have gotten access to drugs that allow them to live longer. "These drugs are miracles," said Dr. Richard N. Greenberg, an infectious disease specialist at the University of Kentucky. "Before the advent of anti-retroviral drugs, HIV infection was a death sentence. Now, taken properly, the life span of a person with an HIV infection is practically normal." However, many of these anti-retroviral (ARV) drugs — most notably a class of drugs called Non-Nucleoside Reverse Transcriptase Inhibitors (NNRTIs) — have been associated with liver disease. In fact, liver disease has emerged as the most common non-AIDS related cause of death in HIV-infected patients, accounting for almost one in every five deaths. But new research published in the Journal of Hepatology could be another step towards the development of treatments that help HIV patients without elevating their risk for cardiovascular or liver disease. A group led by Changcheng Zhou, Ph.D., associate professor in the UK College of Medicine's Department of Pharmacology & Nutritional Sciences, has established a pathway that seems to be responsible for harmful side effects of the widely-prescribed NNRTI drug efavirenz. Like all organisms, humans are exposed to chemical compounds that would be toxic were it not for metabolic mechanisms that moderate their effects. A receptor known as pregnane X receptor (PXR) plays an integral role in this process. The underlying mechanisms responsible for one adverse effect of ARV drugs — fat accumulation in the liver — had not yet been identified. Zhou et al were curious: did ARV drugs interact with PXR in a way that increased lipid levels? Using both naive mice and a new liver-specific PXR deletion mouse model, they established that efavirenz "turned on" PXR target genes both in vivo and in vitro, thereby stimulating fatty acid uptake and cholesterol synthesis in a dose-dependent manner. A translational mouse model (expressing human PXR instead of mouse PXR) was used to confirm those findings. "These findings provide new understanding of the mechanism by which ARV therapy induces dyslipidemia and identify potential targets for treatment to mitigate increased cardiovascular and liver disease risk conferred by efavirenz," said Zhou. Greenberg, who collaborated with Zhou on the study, views this research as both guidance for clinicians and a doorway for further research. "Translational medicine begins with a mechanism," Greenberg said. "Now that we've found a pathway that leads to fat accumulation in the liver, we can look for useful applications, including possible treatments that mitigate the side effects of PXR agonists like efavirenz." "In the interim, clinicians should take heed of this research and be vigilant on behalf of their patients who have been prescribed PXR agonists."